Republican Govs. 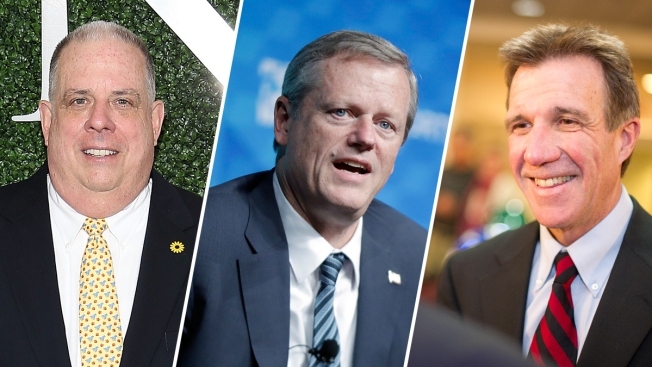 Larry Hogan of Maryland, Charlie Baker of Massachusetts and Phil Scott of Vermont are three of the most popular governors in the U.S. They're proving that GOP governors are thriving under President Donald Trump — by basically doing the opposite of whatever Trump does, NBC News reported. Where Trump likes to poke his finger in the eye of Democrats, these governors work across the aisle to get things done; where the president governs to his base, they embrace moderate and sometimes even liberal policies; and where Trump's instincts lead him to provoke and attack, they come across as reasonable and personally likable. "They have tailored their policies to their state," said Michael Steele, former chairman of the Republican National Committee and ex-lieutenant governor of Maryland. "They've recognized what the true political landscape of their state is and have smartly decided to govern accordingly." Unfortunately for the rest of the GOP, the very bespokeness that makes these governors so popular at home also makes it hard to apply their formulas anywhere else.